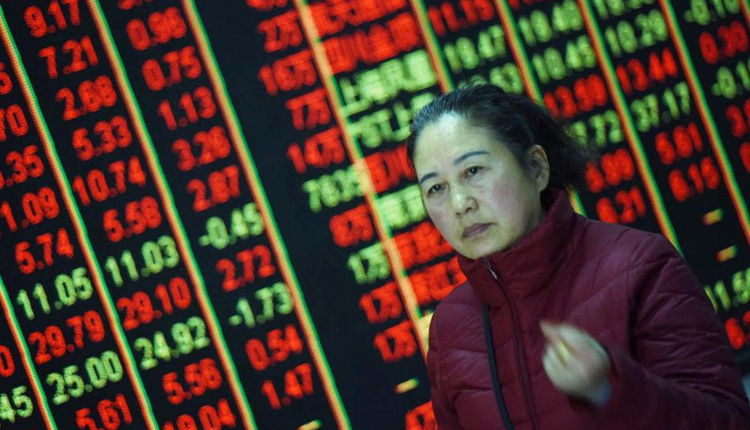 Asian markets dropped sharply on Monday afternoon after disappointing economic data from Europe and a closely-watched signal of potential recession in U.S. appeared on Friday. The broader MSCI Asia-ex Japan index fell 1.61 percent to 521.21, as of 12:14 p.m. HK/SIN. The Nikkei 225 in Japan dropped more than 3 percent in the afternoon, with shares of index heavyweights Fast Retailing, Softbank Group and Fanuc all falling sharply. The Topix index declined 2.71 percent. Shares in mainland China tumbled by the end of the morning session, with the Shanghai composite and Shenzhen component both declining more than 1 percent each. The Shenzhen composite fell 0.908 percent. Meanwhile, the Hang Seng index in Hong Kong dropped 1.78 percent as shares of Chinese tech giant Tencent fell more than 2.5 percent. Over in South Korea, the Kospi declined 1.66 percent as chipmaker SK Hynix saw its stock plunge more than 3.5 percent. In Australia, the ASX 200 fell more than 1 percent as almost all sectors saw losses. Stocks in Thailand fell as the SET index declined 0.8 percent after tumbling 1 percent in the morning, its largest intraday decline in over a month, according to Reuters. The move came ahead of the release of results from the country’s first election since a 2014 coup that saw a military government taking power.